When an NFL team considers proposing a trade with another team, it goes without saying that they are looking to get the better end of the deal. That doesn’t mean that they want to screw over their trade partner, either, of course, as that would ruin the relationship for potential future trades. Like any professional sports league, however, the NFL has seen more than a few trades that have had enormous consequences for at least one of the teams involved. Controversial NFL trades aren’t as uncommon as they may seem. It can sometimes be tricky to determine the winner and loser in a trade in the short-term, as the ramifications don’t always emerge until months later, sometimes even years after the trade occurred. In time, however, the gap between winner and loser can be so wide that it becomes embarrassing for the latter. Some of these moves were embarrassing to begin with, when one team makes a controversial trade that leaves everyone scratching their heads. It’s unlikely we’ll see as controversial NFL trades as the ones on this list in the upcoming draft, but you never know. The Buffalo Bills have the most draft capital and are said to want to trade up to go and grab their quarterback of the future. What would they do to reach up for the Giants’ pick at the No. 2 spot? Surely, no team would ever trade their entire class for one player? A big move by the Bills or any other of last season’s playoff teams, however, could set the tone for next season and drastically change a team’s Super Bowl odds. Right now, the New England Patriots are the 5/1 favourite, who are offering odds on all 32 teams; but then controversial NFL trades like the one below could change those odds in a heartbeat. Surely, it wouldn’t happen? For now, though; let’s delve into the past and look at the top five most controversial NFL trades in history. The Colts had little choice when this move was made back in 1983. 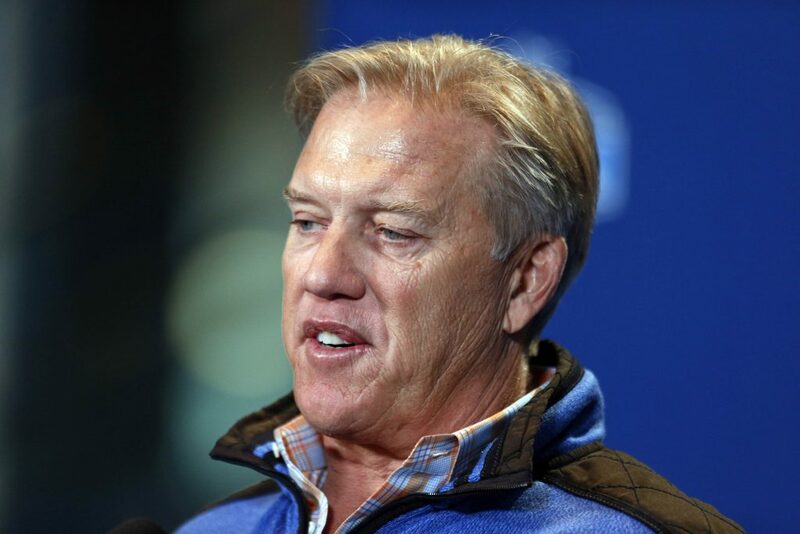 They had the NFL’s top draft pick, but Elway had vowed that he would play MLB baseball for the New York Yankees if the Colts didn’t trade him away, as he didn’t wish to play for then head coach Frank Kush. Colts owner Jim Irsay eventually gave in, and sent Elway to Denver for OL Chris Hinton, QB Mark Herrmann, and the Bronco’s 1984 first-round pick, which turned out to be OL Ron Sold. Elway went on to spend 15 years in Denver, winning two Super Bowls and being named 1987’s league MVP. Mark Herrmann was soon forgotten. Trades are relatively rare in today’s NFL, and deals like this are largely the reason why. This, after all, was the trade that helped the Dallas Cowboys become the team of the 90s, when they lifted the Vince Lombardi trophy three times. Then head coach Jimmy Johnson felt that the team was in need of a huge deal in order to stay competitive. A combined 18 draft picks and players were involved in the NFL’s largest-ever trade. The Vikings gave up a king’s ransom for Walker, including a number of key players. The Cowboys received five players and three draft picks in the first two rounds. They also replaced Walker with Emmitt Smith, who went on to become the NFL’s all-time leading rusher, along with Darren Woodson and Alvin Harper. It’s safe to say the Cowboys didn’t miss Walker. For a reason that still leaves people wondering what on earth the Raiders were thinking, they traded away star WR Randy Moss to the New England Patriots for a fourth-round draft pick. 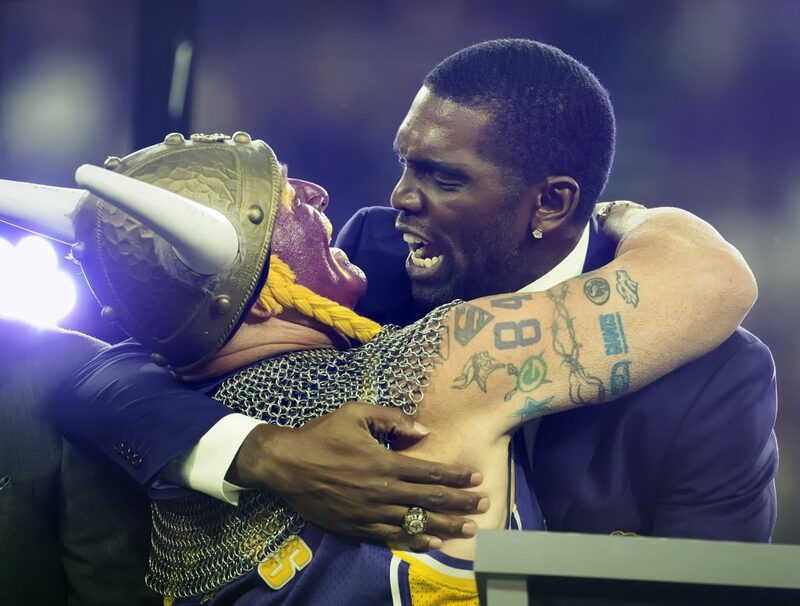 This was Randy Moss at his absolute best. The Patriots undoubtedly got the better end of this deal, as Moss predictably went on to put up impressive numbers in New England. In his first season with the Pats, he caught 98 balls for 1,493 yards, along with 23 TDs – a league record. He also made his fourth First-team All-Pro and went to the Pro Bowl for the sixth time. To cap all that off, he played in his first Super Bowl after helping New England get to a 16-0 regular season. Mike Ditka was clearly a fan of Ricky Williams. In fact, he loved the one-time NCAA’s Heisman Trophy winner so much that he gave up all of his team’s eight draft picks to the Washington Redskins to pick him in the 1999 draft. That deal didn’t exactly work out well for the Saints. They finished with a 3-13 record and were placed last in the division, and Ditka paid the price when he was shown the door at season’s end. Williams was later traded to Miami in 2012. Generally, trading your entire draft class for a single player isn’t a good move. It would be nice if every trade turned out to equally benefit all teams involved, but that just isn’t realistic. While some trades work out for all parties, oftentimes, and not unlike the game of American football itself, there are winners and there are losers.